BRUNSWICK — U.S. Sen. Susan Collins said she is concerned over President Trump’s appointment of Matthew Whittaker as acting U.S. Attorney General. Collins praised Jeff Sessions after his resignation, calling him a man of integrity and great strength. 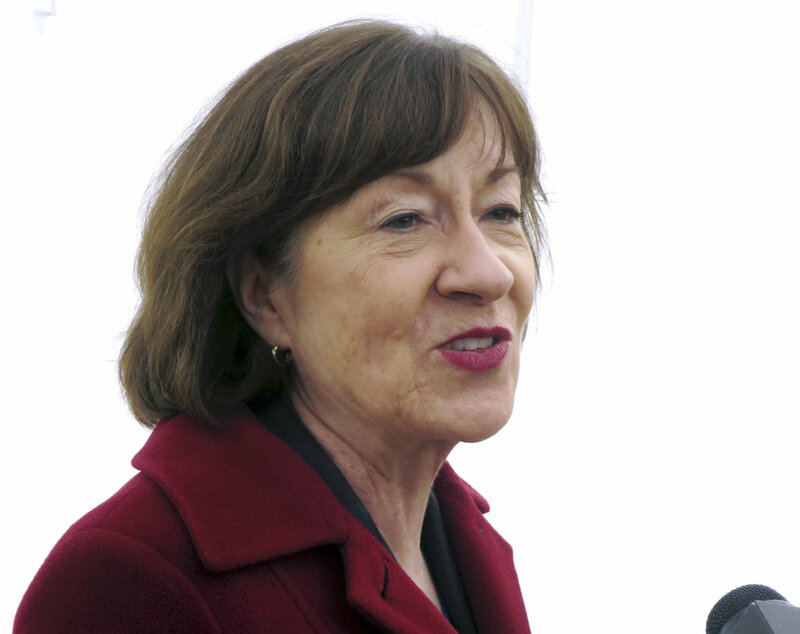 Whittaker’s past comments regarding Robert Mueller’s investigation raised concerns for Collins that Whittaker might impede the investigation or report. Collins said she would support legislation protecting Mueller’s work as special counsel. She discussed the The Special Council and Integrity Act, a bill that would prevent any executive interference into the investigation from President Donald Trump. Collins said she didn’t expect that bill to be well received by the president, but believes the show of support for the special council is needed. Collins also discussed the week’s midterm election results, saying she hasn’t had much time to reflect on the outcomes. In Maine, Democrat Janet Mills won the gubernatorial race, and the party now holds a majority in the house and senate. Nationally, the results were mixed, with Democrats taking control of the U.S. House and Republicans increasing their majority hold on in the Senate. Collins acknowledged some of the possible factors for a blue wave. Collins received a mix of praise and condemnation for her decision to back the confirmation of Kavanaugh to the Supreme Court. Hers was one of the key votes in placing him on the court amid accusations of a decades-old sexual assault.